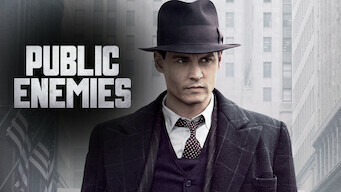 How to watch Public Enemies (2009) on Netflix Netherlands! Yes, Public Enemies is now available on Dutch Netflix. It arrived for online streaming on April 17, 2019. We'll keep checking Netflix Netherlands for Public Enemies, and this page will be updated with any changes. In the shadow of the Great Depression, criminal minds are thriving, and it's up to J. Edgar Hoover and the FBI to bring them down. A return to the days when desperadoes became national heroes, even while the FBI was hot on their trails.